If someone you know has had a near-death or similar experience, it is as if the other person has returned from a country you have never visited and cannot even imagine. The best thing you can do for them is listen. Simply being with the person and letting him or her talk will be more helpful to them than you may think; you are not expected to have answers or opinions. There are many interpretations of NDEs, and only the individual can decide the meaning of this particular experience. It will help to educate yourself about NDEs. Try looking through our web site, reading some books, listening to some recordings. 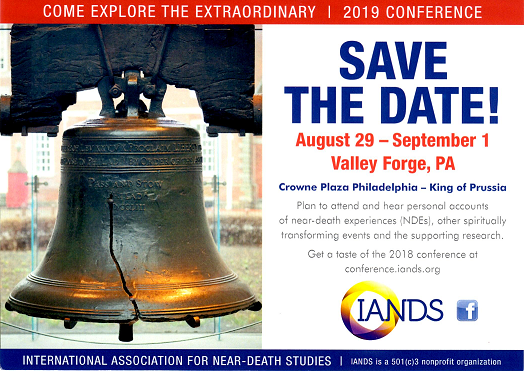 We have a page describing common after-effects in the experiencer, and another page on NDEs in the terminally ill.
An NDE is not an indication of mental disorder, but its effects are often powerful. Some people adjust easily afterwards, while others feel challenged to integrate the experience into their subsequent lives. Their interests, hobbies, likes and dislikes may change; they may seem moody and distant; their personality may even seem different. If the person is really struggling, or if the changes are causing disruption of relationships, professional help may be needed for the person to get back on track. We have some information about finding professional support, and on informal support. If the experiencer is a child, some special information applies. Also, you may need support yourself. Your cherished assumptions about life likely will be questioned. And you may change them. Or you may not. We have a page especially for caregivers. If you have a close relationship with the experiencer, your world can be thrown into turmoil too. Many spouses, for example, have said "This is not the same person I married." Quite frankly, the divorce rate with near-death survivors is quite high. It is not easy living with someone who is in the throes of trying to integrate their experience. We suggest you read our section for an experiencer. We have an audio tape available of a panel of people talking about what it was like for them having a spouse who had an NDE while married to them. Another source of support is The Compassionate Friends, an organization with many local support groups.